Introduced in 2009, Bitcoin is an electronic currency that is exchanged through its own payment network. 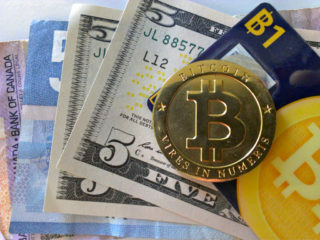 Bitcoins are stored in virtual wallets, and has been dubbed a “cryptocurrency”. It is a decentralized, peer-to-peer currency which relies on cryptography to facilitate currency generation and transactions. Specialized computers, referred to as “miners”, run what is called a proof-of-work system to confirm transactions. 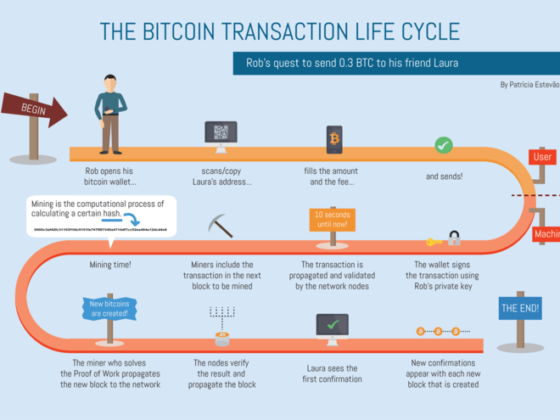 They receive small amounts of Bitcoin as transaction fees. But how does someone make money with Bitcoin? 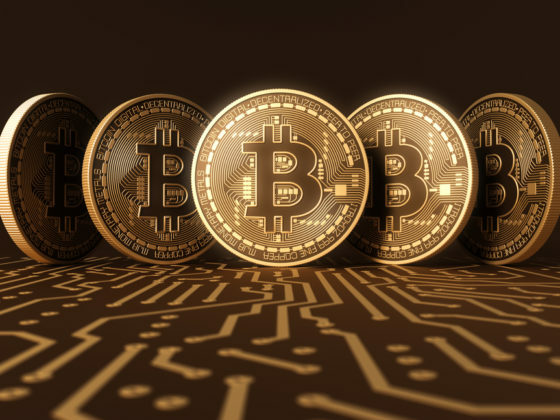 Bitcoin (BTC) offers an efficient means of transferring money over the internet and is controlled by a decentralized network with a transparent set of rules, thus it is an alternative to central bank-controlled fiat money. 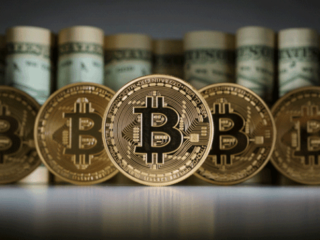 There has been a lot of talk about how to price BTC, and we set out here to explore what Bitcoin’s price might be if/when there is widespread adoption of it. But first, let’s take a look at its business. How Do Cryptocurrencies Make Money? To tell the truth, no one knows for sure. Bitcoin was invented by an unknown person (or group of people) using the name Satoshi Nakamoto, and released as open-source software in 2008. Recently there have been some people who have come out and claimed to be Satoshi Nakamoto, but no one really knows. As mentioned above, all transaction information is stored in the Blockchain. It’s like an Excel spreadsheet full of everyone’s transactions that can be viewed and written by everyone within the payment network. Nothing can be hidden, and nothing can be changed, without the consensus of the other parties. This spreadsheet is stored within blocks that are created every 10 minutes. Each block is chained to the existing chain, hence the name blockchain. And the miners create those blocks through a mining process. Mining is conducted to verify and place new transactions within the Bitcoin payment system. The more a miner contributes to the system by verifying and adding transactions to a new block, the more they earn in BTC. The payment system makes it harder and harder for miners to earn those coins as more miners contribute. This is a way to get the community to keep the system for hundreds of years. It is the prime business model of the crypto industry as trading occurs through coin exchanges every second around the world. Mainly, the revenue of this exchange comes from fees charged for exchanging and trading on the website. 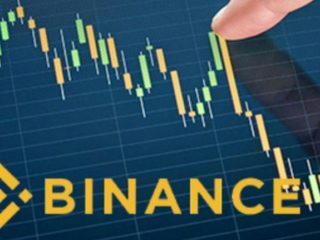 If you are thinking of starting this as your business, you will have to setup a white label cryptocurrency exchange website, integrate it with secured features and promote it in order to get more users. You will give access for traders to do peer-to-peer exchanges in order to collect a commission for every successful trade. When a user enters a cryptocurrency exchange website, they are subjected to some terms and conditions like trading commission. Further accepting this, Bitcoiners enter your website and continue to trade and exchange their BTC. When a successful BTC transaction is completed, admin gets the appropriate commission which is automatically credited to the website owner. This would be flexible by the integration of a crypto exchange script in the exchange business. The exchange commission is similar to the policy of trading. When buyers and sellers exchange their fiat currency and BTC, they are required to send transaction fees to the website owner. If the exchange business is built with secure wallet application, then the standards apply to that too. No matter what happens with the BTC price, trading will never go down. The core functionality of this business is to provide third party wallet services to traders and trading websites. To start this business, you will need cloud storage space for your wallet and blockchain. Then you need to create a wallet services website with all the fancy features and good security. You will get a commission for keeping users’ assets in your wallet. Just like other casinos, Bitcoin gambling allows people to get more BTC if they are lucky. So for a gambler, this is a 50/50 profitability business with equal chances to win and lose. While for a businessman, this is 100% profit. To start with, you will need a gambling website with all the necessary features. Gambling business is a high profit business with a high level of user flow and revenue. You can either become a source of Bitcoin, or you can mine cryptocurrency for others and collect commissions based on their requirements. Also, you can earn commissions from the blockchain, for increasing the BTC circulation through mining. As a business person, the main thing you have to do is set up a Bitcoin mining farm and a business website. We accept it costs a lot, but you can reduce the cost of investment by partnering with mining pools, or with plenty of BTC miners. This is a very recent business model which is a new arrival to the industry. But the impact of this business is really massive. It might even be the future of cryptocurrency that will pull back the trading system. The whole business works based on a tokenized system. And to start this as a business, you have to setup a website, which executes ICO campaigns. Yes, you definitely can. Even if you don’t want to become a businessman and follow one of the models described above. There are still multiple options for individuals to make profit. 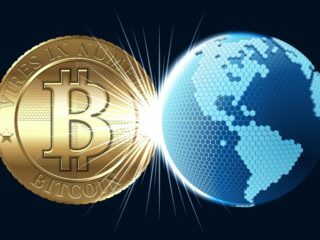 We cannot promise you millions of dollars, but BTC is a great option for making some extra cash. There are two major types of traders in the crypto market: ‘long term’ traders and ‘short term’ traders. Long term traders are usually involved in studying price trends over long periods of time. This influences their decision to buy and hold BTC over long periods with the hope of taking a profit at a price higher than their original entry point. On the other hand, short-term traders analyze the intraday behavior of the BTC price and seek to take advantage of the swings in price. These traders thrive in market volatility, a factor that characterizes cryptocurrency nowadays. 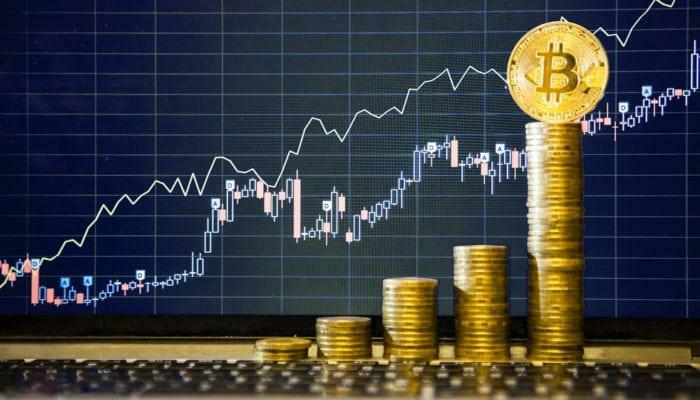 As adoption grows and Bitcoin becomes more stable, price volatility has reduced considerably and experts think it is a better time to trade the cryptocurrency, compared to how it was before. You can visit different faucet websites to complete simple CAPTCHA tasks to get Satoshis. But it’s time-consuming and won’t earn you big profits. Or you can build and manage your own faucet to earn anywhere between $50-$800 a month. The process of running a faucet is pretty simple, you can build a faucet within 10 minutes by getting a Bluehost account and installing a Bitcoin faucet WordPress plugin. 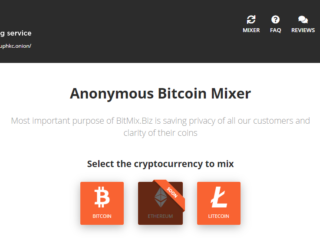 By running your own faucet, you will be paying out small amounts of BTC to your users (automatically) but will be gaining much more revenue through ads you put on your site. Are you a creative person who is both an expert at crypto market, and can write a few paragraphs? You don’t need to be a Shakespeare, but rather a good Bitcoin story-teller. The Internet is filled with countless forums and message boards that offer great opportunities to spread the word about products and services, and some companies will even pay you to promote their products on these forums. Other websites will pay you in BTC to write articles and blog posts. You could also set up your own blog, place ads on it, and get paid in cryptocurrency. If you happen to know another language you could also do some translation work for BTC. This is one of the oldest ways to create wealth through Bitcoin. Coins are created through solving complex algorithms to create blocks that are added to the public ledger. And as you already know, miners basically build the public ledger and allow the whole Bitcoin system to function. As they create new blocks, miners are rewarded with new coins. This encourages more miners to get in on the action, which allows the Bitcoin community to grow. By mining for Bitcoins, as long as the markets remain active, you can make money. The problem however, is that mining is such a tough gig now that it is hardly worth it. Turning your computer into a miner will likely make it noisy and heat up. It would likely take a long time to mine even a single BTC, by which time you probably would have spent more on electricity. However, if you have access to some serious computing power and you don’t have to pay the bills, you could make some easy money here. Alternatively, you could engage in Bitcoin cloud mining. Cloud mining is the process of mining BTC using a remote data center with shared processing power. 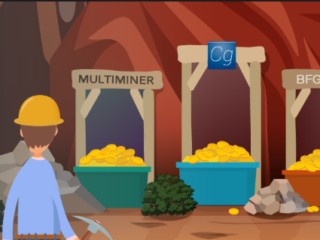 Cloud mining is beneficial to individuals as it allows them to carry out their mining activities without having to manage the mining hardware. 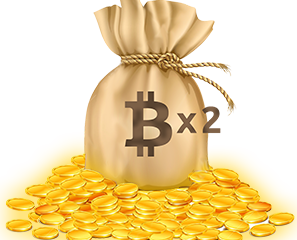 It enables you to earn coins without mining software, mining hardware, bandwidth, electricity or other offline issues. However, there is a cost associated with cloud mining as a service and this will have an effect on your bottom line. The time it will take you to break even on Bitcoin cloud mining can easily take well over a year and that is assuming the price of BTC doesn’t drop. If you want to play your part in the Bitcoin network and want to mine at a low cost, then cloud mining is a good option. You’re probably familiar with online casinos and know that they’re pretty straightforward. You play a game of luck, or a skill-based game like poker, and if you win, you earn some money. Gambling with BTC covers a wide spectrum of ways to enjoy the digital currency as it makes gambling easier and you can earn some huge amounts of BTC if you score a major jackpot. If you like playing dice, roulette, poker, lottery or slots, the cryptocurrency online gambling market is more than big enough to satisfy your gambling desires. Of course, when it comes to gambling, the house always wins in the long run, so the risk is high. If you already have a few extra coins, you can lend them to entrepreneurs and small SMEs using the Bitcoin peer-to-peer lending platform Bitbond and generate excellent returns. Lending is perhaps the oldest way to use money to make money. Basically, you loan out money to a relevant party and they pay you back, with interest. Interest rates will vary depending on the perceived risk. If you get collateral in exchange for your loan, interest rates will be low. No collateral means higher risks, but it also means higher interest rates. Peer-to-peer lending refers to a method through which individuals, startups, and SMEs can borrow from individuals without the use of a traditional financial intermediary. This enables financing for those who are finding it hard to secure a loan from a bank and generates strong fixed interest returns, with low transaction fees and a low correlation to stocks and bonds for investors. However, remember to always diversify your risk by lending to a number of borrowers as opposed to putting all your money into one loan. Remember, BTC is a currency. 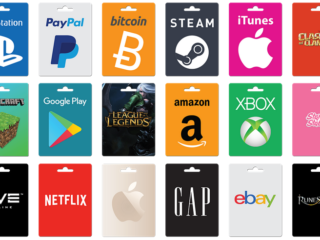 This means you can earn money by selling just about every type of product and service simply by accepting BTC as payment. Even major websites, like Overstock.com, now accept cryptocurrency as payment. If you happen to be a top-notch marketer, or are good with arts and crafts (among many other things), you can sell your services and wares, and accept BTC in exchange. As with any other type of business you will have to get out there and market yourself and your products or services. If you’re already selling something, you should consider accepting BTC as payment, if you haven’t done so already. If you aren’t selling anything, now is a great time to look at the market to identify needs, and to find ways to meet those needs. Cryptocurrency offers a wide range of entrepreneurial opportunities for the bold and ambitious, and the all-digital currency makes conducting business around the world cheaper and easier. Bitify: Bitify.com is somewhat likened to EBay for Bitcoin. It uses an auction system to sell items in exchange for BTC. Bitify also offers escrow services so that buyers can ensure that goods are delivered before releasing the Bitcoins. The use of the escrow service is optional for buyers for a 1% fee. Sellers, on the other hand, have a 2.5% fee on the total sale price of the items. Premium advertisements are charged 1.5% of the total cost. Purse.io: Individuals with amazon accounts can sell items at a discount on Purse. Buyers who use BTC advertise their wish lists on their Purse.io accounts. At this moment you are already familiar with how businesses and individuals make Bitcoin money. But how do cryptocurrency companies make money? Initial coin offerings (ICOs), are blockchain businesses that seek start-up funding via a sale of coins, or tokens, often exchangeable for their future product or service. It’s somewhat similar to an Initial Public Offering (IPO) in which investors purchase shares of a company. When a cryptocurrency startup firm wants to raise money through an Initial Coin Offering (ICO), it usually creates a plan, called a white paper, which states what the project is about, what need(s) the project will fulfill upon completion, how much money is needed to undertake the venture, how much of the virtual tokens the pioneers of the project will keep for themselves, what type of money is accepted, and the duration of the ICO. During the ICO campaign, enthusiasts and supporters of the firm’s initiative buy some of the distributed cryptocoins with fiat or virtual currency. ICOs are a relatively new phenomenon but have quickly become a dominant topic of discussion within the blockchain community. Many view ICO projects as unregulated securities that allow founders to raise an unjustified amount of capital, while others argue it is an innovation in the traditional venture-funding model. It is easy to structure ICOs because of technologies like the ERC20 Token Standard, which abstracts a lot of the development process necessary to create a new cryptographic asset. Most ICOs work by having investors send funds (usually ETH) to a smart contract that stores the funds and distributes an equivalent value in the new token at a later point in time. And since you’re taking money from a global pool of investors, the sums raised in ICOs can be astronomical. A fundamental issue with ICOs is the fact that most of them raise money pre-product. This makes the investment extremely speculative and risky. The counter argument is that this fundraising style is particularly useful (even necessary) in order to give incentive for protocol development. There’s no magic secret on becoming a Bitcoin millionaire. Becoming a successful investor or businessman takes time and dedication. But learning professional-grade skills and doing research can have a life changing effect. And one day, you might find a significant amount of Bitcoins in your wallet.